From clothing to tires, appliances to tools, Sears offers a wide range of products for you and your family. The selection of items is vast and so is the number of amazing deals you can find – but only if you know where to look. Read on to find out how to save big bucks while shopping at Sears, both in store and online. Check for coupons and promo codes. Like most department stores, Sears offers weekly coupons and promotion codes. Discounts normally give you a percentage off a select department (like 10% off baby clothes) or a dollar amount off a minimum purchase (like $35 off a $300 tool purchase). Don’t head into the store without checking CreditDonkey to see what weekly specials Sears has to offer. Sign up for a Shop Your Way account. This is a free rewards points program where members can earn points with qualifying purchases (1% of every dollar spent). 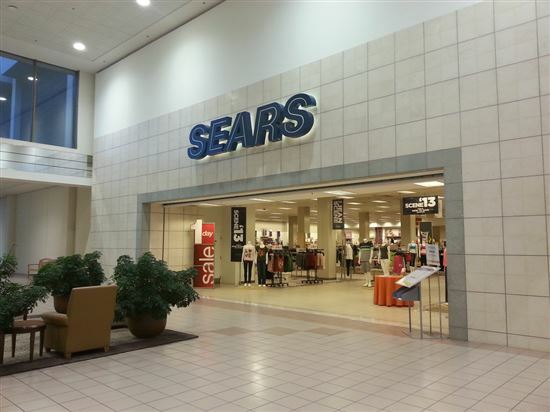 Points may be redeemed at Sears stores and other Sears Holding Co. brands, like Kmart and Lands’ End. Consider applying for a Sears MasterCard. If you are a frequent Sears shopper, you might want to apply for a Sears MasterCard. Deals vary seasonally, but the store’s current promotion allows cardholders to choose between a 5% discount on select purchases (such as appliances or fitness equipment) or 0% interest for a year. As long as you don’t carry a balance on the card, you can benefit from some major savings. Get the app. Everyone has an app these days, and even this aging retailer is no exception. You can quickly access product reviews, track coupons, view your local sales ad, and manage your layaway and Shop Your Way accounts. It’s a useful tool if you’re a frequent Sears shopper. Scour the Sears Deal Heist. Each day, Sears’ Deal Heist website page adds new deals from a variety of departments for customers to browse. Expect savings to range anywhere from 25% to 75%, depending on the item. Keep track of local competitors’ prices. While Sears won’t price match Internet-only retailers, the company will honor prices of its local competitors, even if the price is online. This policy is good for up to 14 days after your purchase, so keep an eye on local ads after you make a Sears splurge, and you could get a refund on a price difference. Request in-store pickup for large items. It can be tempting to have large items like a treadmill or big-screen television delivered straight to your home, but shipping prices for those types of items can start at $69.99, which will make your bill skyrocket fast. Instead, consider picking up your purchase in the store. If you need to rent a truck, you may find your local Home Depot or even U-Haul will offer a better hourly rate than what you’d have to pay in shipping charges. Buy More, Save More Sale. Sears holds this sale every couple of months, where shoppers save increased percentages depending on how much they buy. For example, you might save 5% when you buy 3 appliances, or 10% when you buy 4 appliances at once. Black Friday. If you’re looking for new electronics, Sears’ Black Friday deals will save you 10-25% on some of the season’s hottest televisions, tablets, and digital cameras. The store opens at 6 p.m. on Thanksgiving Day to start off the holiday shopping season. The Sears return policy is fairly complex, so be sure to check the website for any changes. A receipt is required for both returns and exchanges, so tuck away that proof of purchase until you’re sure you want to keep your items. In-store returns. Purchases are divided into 30, 60, and 90 day returns, depending on the item. Be sure to check which category your purchase falls in before it’s too late. Online returns. For large online purchases like televisions and appliances, Sears will schedule a pick-up for return, or you can take the item back to the store. You can also return shipped items yourself by using the provided packing slip. In order to receive a refund on a purchase that arrived damaged, you must report it to Sears Customer Services within 72 hours of delivery. It’s also good to know that there is a 15% restocking fee on consumer electronics items if they are returned without all of the original packaging. And keep in mind that the Sears.com Marketplace offers products from third-party sellers. You can’t return those items to a Sears store, and the sellers may have their own return policies. Extended holiday returns. One perk Sears offers is an extended return policy for purchases made in November and December. Returns accepted through the end of January, rather than the usual 30 or 60 days. Check the Sears website for exact dates, which may vary from year to year. There are a few exceptions, including vacuums, major appliances, and sewing machines. Appliances. Unlike most department stores, Sears offers a comprehensive home appliance section, and if you stack up coupons and sales from our tips above, the savings can really add up. Check out your local post office for new residence coupons, which often include Sears. If you’re not too picky, most areas also have a Sears outlet, which includes a scratch and dent section offering savings up to 50%. Car batteries. Car batteries by Diehard, which is owned by Sears, are some of the top-ranked batteries by Consumer Reports. Shop before you need one and you may be able to score a 20% or 25% off coupon from Sears. Vacuums. Sears carries Kenmore, which is top-rated by Consumer Reports and online reviewers alike. Save 25% off during sales, plus any extra coupons you may be able to combine. Tires. While you may be able to score a deal on the tires themselves, Sears’ installation services are lacking compared to other national competitors like Costco, Sam’s Club, and Walmart. Of the four retailers, Sears has the most expensive installation price with the least amount of services provided, so assuming you can find comparable deals on tire prices, you’re better off taking your car somewhere else. Lawn mowers and leaf blowers. Sears primarily carries Craftsman products in these two categories, and most models did not fare well when tested by Consumer Reports. Instead, try better rated brands like Toro and Troy-Bilt at Lowe’s or Home Depot, especially during a holiday weekend sale. Fitness equipment. Unless you are stacking coupons and promo codes to get extra savings, even Sears’ sale prices on fitness equipment are generally on par or slightly higher than other retailers. Check Amazon for deals, especially since free shipping is often included on such purchases. Share on Facebook "Tips and Tricks to Save Money at Sears"